Betty Lou (Grayson) Thompson, age 81 of Crawfordsville passed away on Friday, January 11, 2019 at Franciscan Health Crawfordsville. She was born in Ellettsville, Indiana on August 27, 1937 to the late Cecil Patrick & Alma May (Hawkins) Grayson. 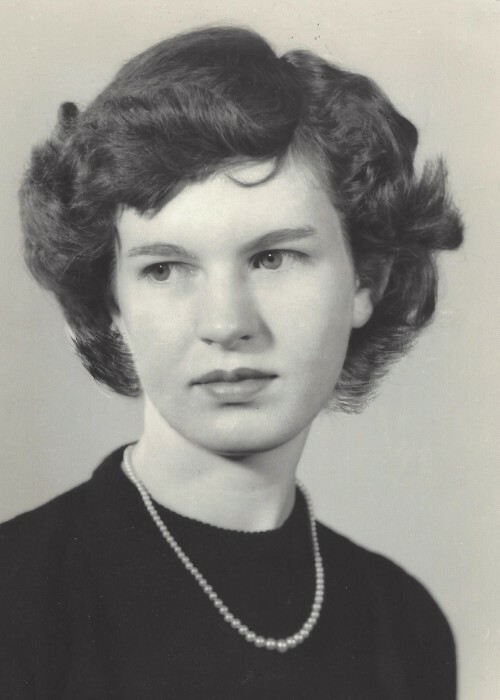 Betty graduated from Crawfordsville High School in 1955 and on December 24, 1955 she married the love of her life, Ronald Thompson, who preceded her in death on November 6, 2012. She was a loving mother and wife and worked at Redwood Inn as a waitress and Hi-Tek (Lithonia) Lighting. She loved listening to country music, collected miniature tea cups, and loved spoiling her grandchildren. She is survived by three sons, Tom Thompson of Linden, Phillip Thompson of Crawfordsville, and Raymond (Penny) Thompson of New Hampshire; a daughter, Carol Ann Thompson of Crawfordsville; a brother, Burl (Carolyn) Grayson of Crawfordsville; a sister, Marian Davis of Frankfort; six grandchildren, Louanna Thompson, Mike Thompson, Ginny (Justin Shaffer) Thompson, Danielle (Travis Bonifacius) Thompson, Kevin (Carrie) Thompson, Michael (Brittany Woolsey) Thompson; and seven great grandchildren, Sarah, Jade, Rylie, Brittany, Randy, Jeramiah, and Abbey. She was preceded in death by her parents; six brothers, Roy, Jim, Ed, Bert, John, and Ray Delbert; and five sisters, Ruth Montgomery, Goldie Hensel, Connie Price, Edna Stewart, and Mary Grayson.